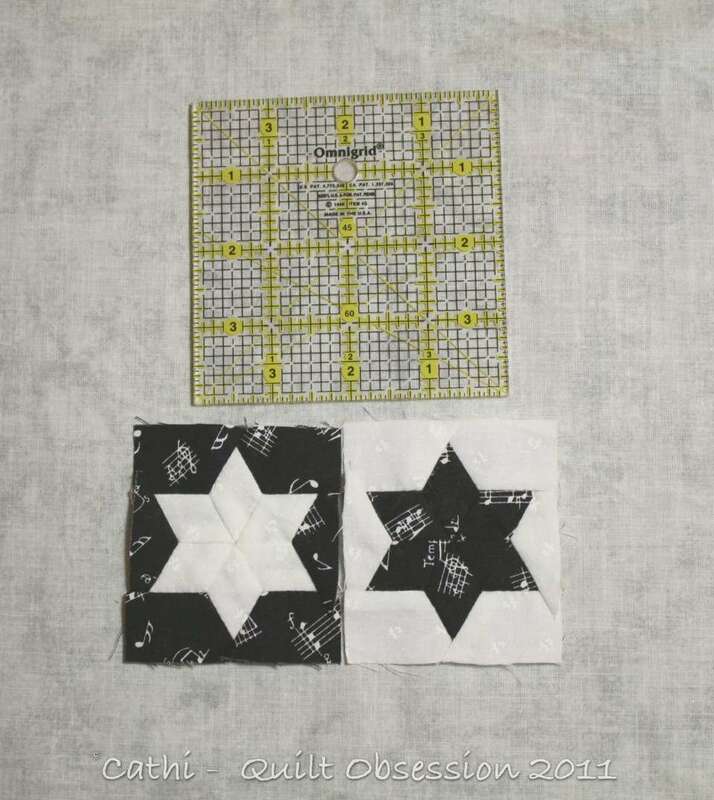 Remember these little black and white stars? They are tiny, finishing at 2.25 x 2.5″. That’s what in this PIB – lots of the shapes to make more of the tiny stars. Every so often I make another one or two of the stars and add them to the stack of finished ones. This is a very long-term project. The 4.5″ Winding Ways project using hand-dyed fabrics. Everything for this project is in this box, including the thread colours that work with the fabrics. 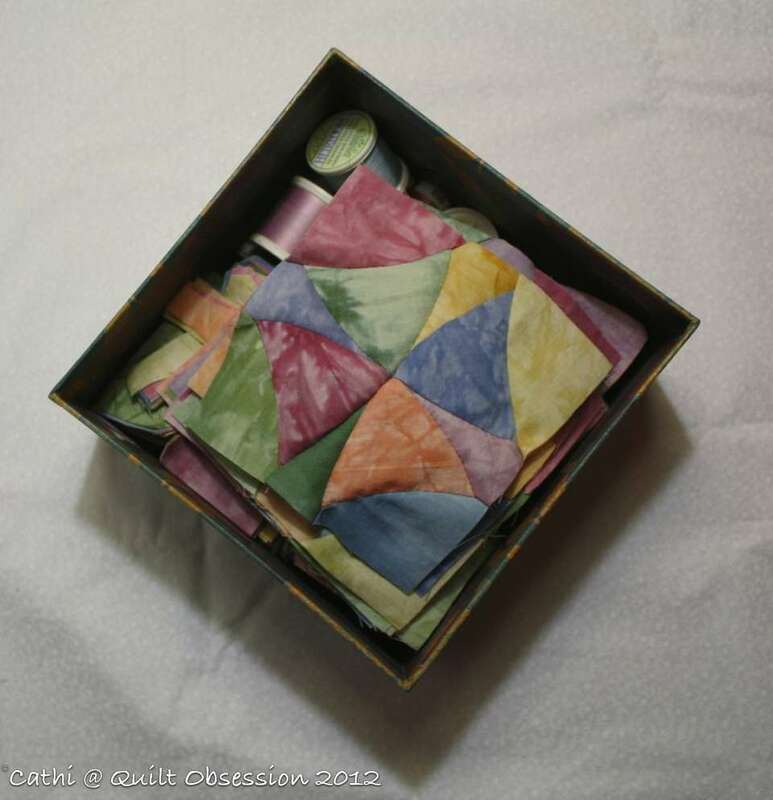 The Tiffany Lamp, Monet and an as-yet unnamed New York Beauty project – lots and lots of the shapes for them are in this box. There are more that have been printed but not yet cut out that will be added to the mix. Baxter was investigating the contents of this box. 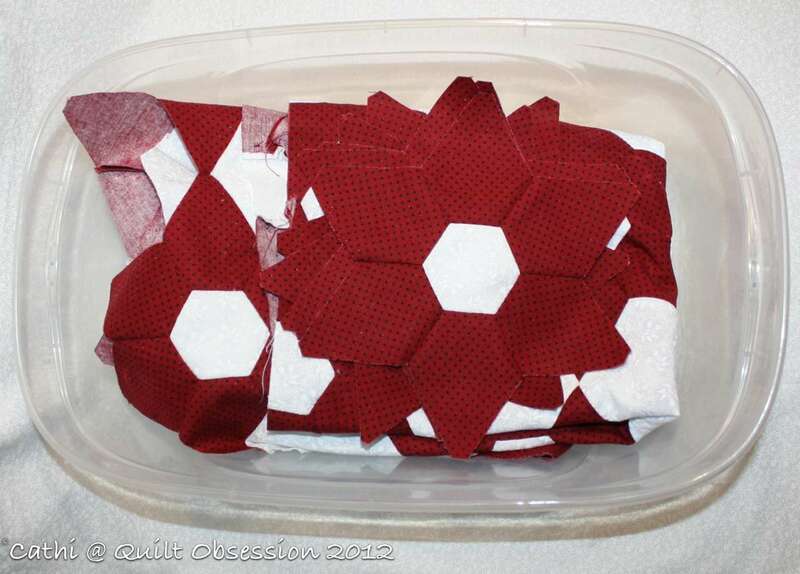 The red and white Texas Star quilt. 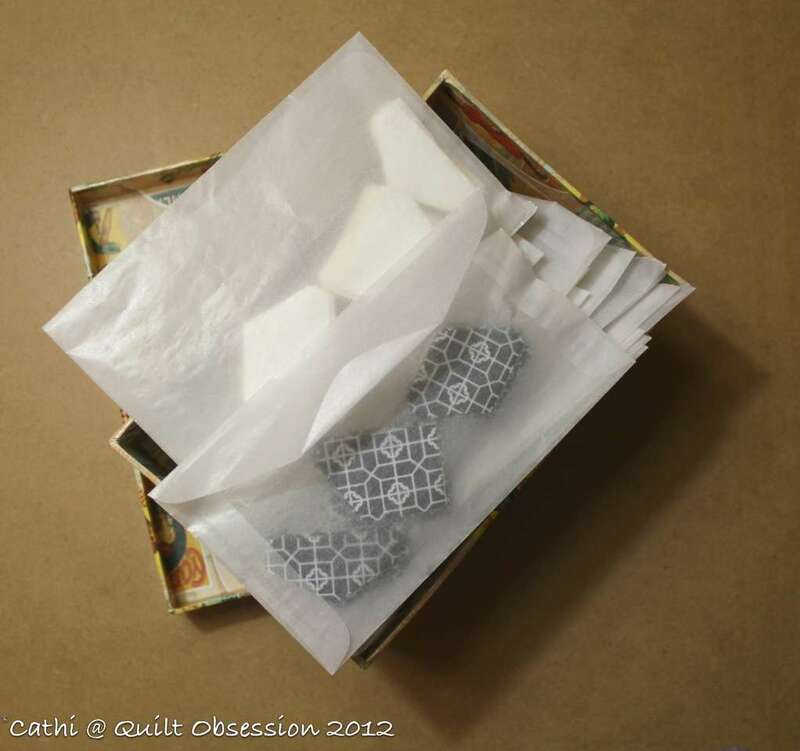 Everything needed for the quilt is in this box along with the matching thread. Another long-term project but I make a couple of stars every once in a while and add them to the stack. At this point, the quilt top is about one-third done. I’m joining the rows as I go, so once I finish the last star it will be finished completely very shortly thereafter. The Harpsichord Quilt. Almost everything needed for this one is in the box, although I need to print a few more of the neutral octagons. The fabric for that is ready to print and those will be added to this box shortly. There are three more to add to the group – the Summer Picnic Dish (Pickle Dish), the Stormy Seas and Pickled Ladies and those are the PIBs that are currently the ones in rotation along with the ones I showed yesterday. There are more PIBs, but they are not ones that have had much attention lately. Now to the question. I bought some white flannel to use as a more permanent design wall. I was able to buy a 90″ wide flannel and it got me wondering whether one could use flannel in the place of batting in a quilt. Yes, I know it shrinks a lot but that can be dealt with by pre-washing it in hot water a couple of times. My thinking was that flannel would make a warm quilt, but not too thick. It might not show the quilting as well and I have no idea how difficult flannel might be to needle if one were hand quilting. So have you ever used flannel in the place of a batting? 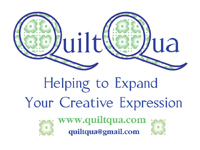 If you have, did you hand quilt it? If you did, was it harder to quilt through? 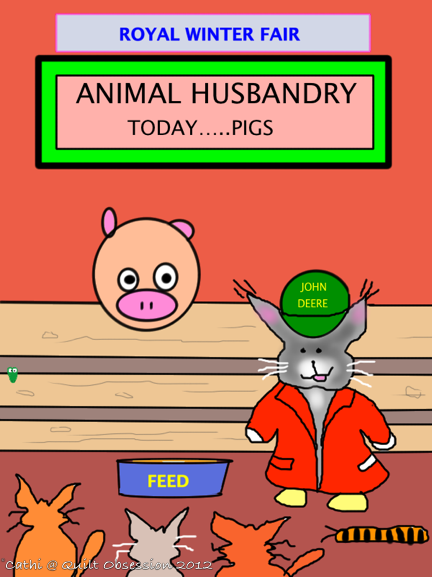 Baxter was busy at the Fair again, this time taking lessons in animal husbandry with his pals looking on. Yesterday we saw some tiny snowflakes. They melted on contact but are, to me, an unwelcome reminder that winter is coming. 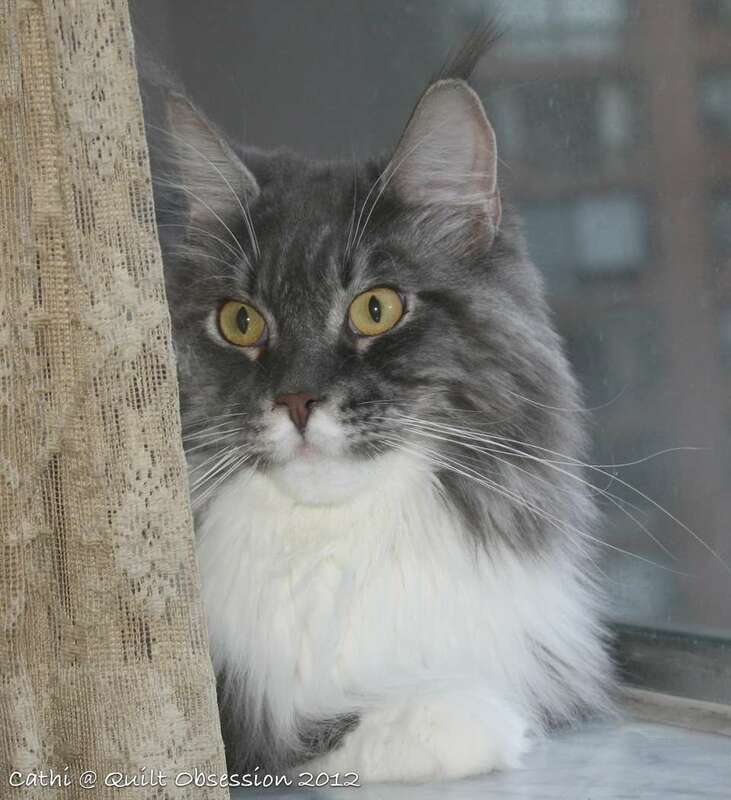 Baxter spent quite some time on the windowsill watching the fallen leaves or maybe the tiny snowflakes. Cathi, I’d never heard of Pickled Ladies before, so I looked it up. That is going to be one beautiful quilt. Just how many PIBs do you actually have? You can use flannel in a quilt, but it might be very heavy, since it doesn’t have the air pockets that batting has. Great post Cathy. Your projects are so nice and neatly organized. Makes my room look like a disaster. Where do you keep your PIB s? Baxter, we saw some tiny snow pellets yesterday morning too! Lucky you have that great fur coat to keep you warm. Your tiny projects are very cute, and so pretty when they are done. Baxter is really having great experiences at the fair! Keep the snow to the north! It looks like Baxter has good taste for fabric, nice bright colors! I would think flannel would be easy to hand stitch through since it is so soft. It would make what used to be called a summer quilt, lighter weight than one with batting. The only downside i have found in using flannel for a lightweight quilt is that the seams of the piecing don’t sink in as they do on batting,so they are slightly more obvious. 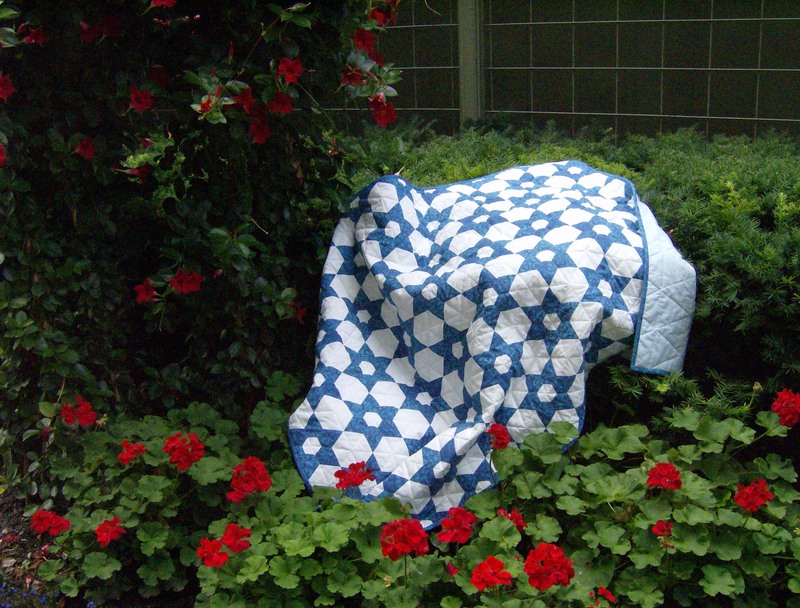 Not all quilts even have batting: I have made a number of summer weight covers that only have the top and a light flannel backing quilted together. BTW: while it works okay, flannel is not the _best_ choice for a design wall. 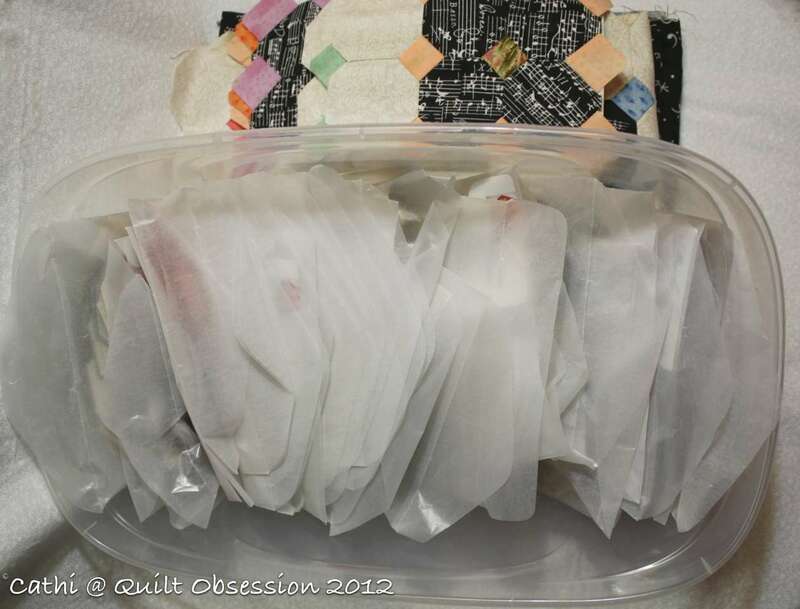 I use cotton batting: patches and blocks stick to it more securely. My design wall is one whole wall of my sewing room covered with thin sheets of foam core insulation wrapped in Warm & White batting. Foam core allows me to pin stuff if I want while anything cotton sticks beautifully to the batting…at least until the kittens get to it. I’m enjoying looking all your PIBs — I have lots of those as well. I don’t remember seeing the Harpsichord Quilt before — did you post it? I generally use pre-washed flannel in my doll quilts because I want to add just a little thickness. It have found it to be very easy to quilt through — even with little doll quilt stitches. I have also used it on a few throws that I tied instead of quilted. I haven’t tried it on a bed-sized quilt, although I think it would be fine — just not very lofty. Yes, Cathi, I’ve used flannel in lieu of batting in quilts. 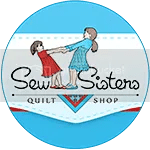 Mostly in smallish or crib size quilts. One that i hand-quilted had a pieced ‘front’ and a flannel back – no batting or additional flannel. The flannel in the quilt was rather thicker than we see today, but I don’t recall that it was all that difficult to needle. Of course I was in my early 30’s at the time, so my hands were much stronger than they are now. I have not used flannel in place of batting in a quilt. I suppose it would be lighter in weight than batting. My favorite batting to use is 100% cotton and fairly thin so it may be similar. I see Cappy visiting the fair with Baxter 😉 Too cute. Gorgeous PIBs! I haven’t used flannel instead of wadding so I’m reading the comments with interest! Another wonderful Baxtertoon and photo of the man (cat!) himself! Cathy, you sure have a lot of projects going. 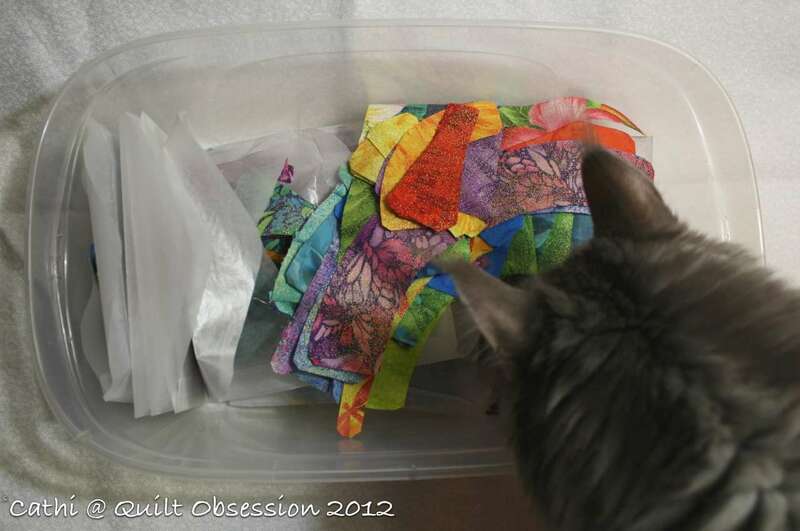 Me too, but I don’t know how many…haven’t organized my sewing area in awhile. Love this picture of Baxter. Think it’s the best one and my favorite so far.